For a limited time this summer, Resident Evil is coming to life at Universal Studios Japan. And apparently, you get to shoot zombies with the same practice guns the police and the military use. According to Famitsu, "Resident Evil The Real" is a five-to-ten minute long attraction that will be held at the park's "Palace Theater" in USJ's New York area. Each visitor is equipped with a 700 gram "model gun" that only have a limited number of bullets. The goal is to shoot the zombies and other creatures—and wipe out the virus contagion. The creatures, including the Licker (pictured), are supposed to look incredibly real, too—hence the attraction's name. Famed Japanese special effects artist Shinichi Wakasa, Godzilla's suitmaker, also worked on the enormous Tyrant creature. 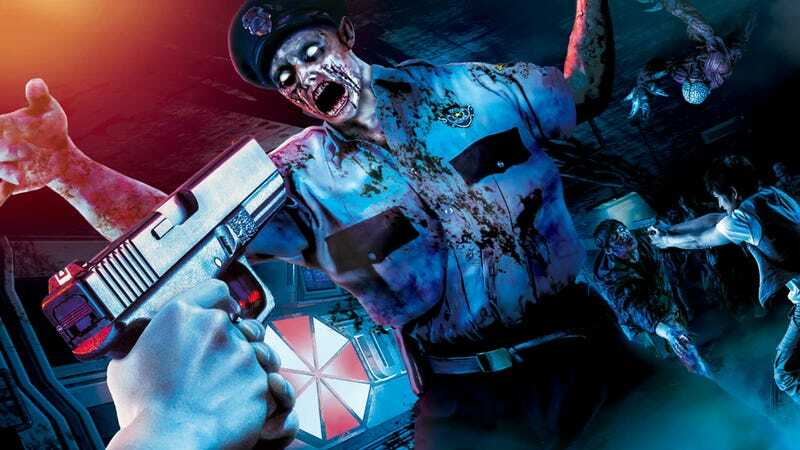 Last fall, Universal Studios Japan teamed up with Capcom for a Resident Evil theme park. The results were unexpectedly awesome.